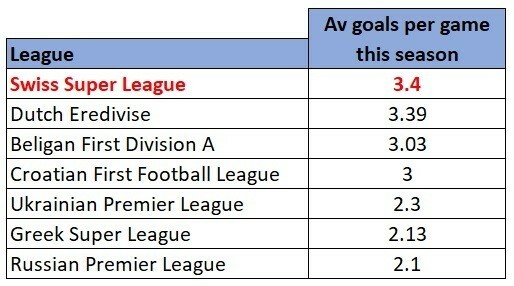 Football Betting Analysis: Which Leagues Rank Highest And Lowest For Average Goals Per Game? Following on from our half time result and highest scoring half investigative research, the next entry in our betting analysis series focuses on the leagues that rank highest and lowest for average goals per game. Below we will take a look at Europe’s major leagues to try to discover which competitions are most fertile hunting grounds for punters looking for goal markets to exploit. From there, we will try to unearth some lesser known high-scoring leagues and divisions from around the world, that could potentially open new lucrative avenues and opportunities in the goal markets. Read More: Premier League Relegation And Second Season Syndrome: Fact or Myth? Germany’s Bundesliga ranks top of the pile for average goals per game so far this season, with 3.1 goals flying in per ninety minutes in the country’s top flight. 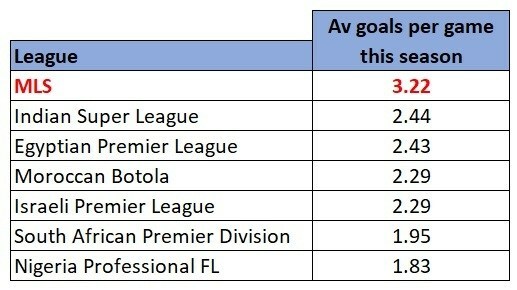 The Bundesliga’s goal per game average comes in comfortably above the figures from the other “big 5” European leagues. Looks like the Germans win again. The self-proclaimed “most exciting league in the world”, England’s Premier League, ranks 3rd in the list, with Serie A 4th and Spain’s La Liga propping up the list, with just 2.49 goal scored per game on average this season. Interestingly, 57% of the games in both the Bundesliga and the Premier League finished with over 2.5 goals scored in them this season. However, 37% of the Bundesliga’s matches saw over 3.5 goals scored in them compared to the Premier League’s figure of 29%. Read More: International break boredom? Not on Football Index! Looking at this table, it looks as though the Swiss are just as interested in putting holes in defences as they are in cheese. If you like the sound of rattling nets and exasperated goalkeepers, then the Swiss Super League has you covered. 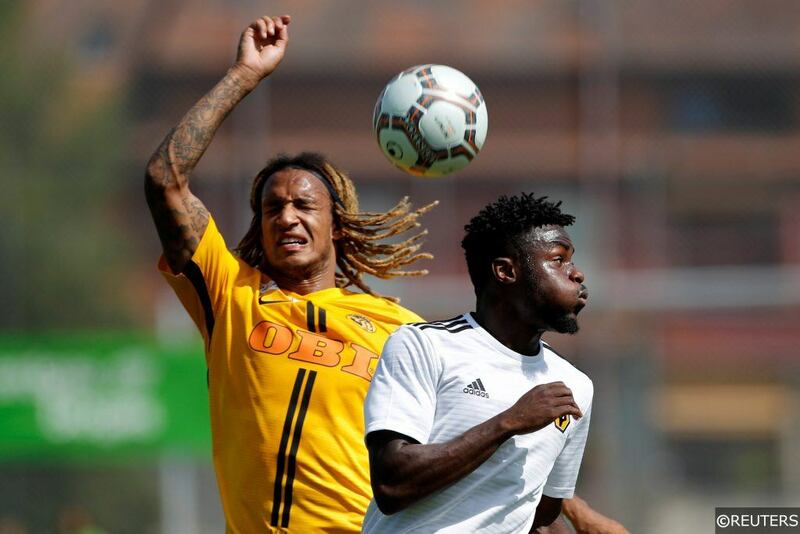 An eye-watering 3.4 goals per game have been scored in Swiss Super League fixtures in 2018/19 to date. 68% of the 50 matched played in the league so far finished with over 2.5 goals scored in them too, while both teams scored in 72% of those same contests. The Dutch Eredivisie runs the Swiss Super League close in terms of average goals per game with a figure of 3.39, with 60% of those matches finishing with over 2.5 goals registered in them. Both teams scored in only 54% of the 72 games played in the Eredivisie this season however. The Belgian First Division A and Croatian First Football League also burst through the 3 goal per game average ceiling for this season, though teams in the Russian Premier League have treated supporters to a paltry 2.1 goals per game on average so far this season. Give yourselves a shake fellas. Next, we’ll take a closer look at some of the continents lesser lights to see if any of those leagues are hiding action packed, goal filled competitions beneath their veils of secrecy. It turns out the Maltese Premier League has been a covert, backdoor goal mine all this time….right under our noses. An average of 3.05 goals have been scored per game in Malta’s top division so far this season. 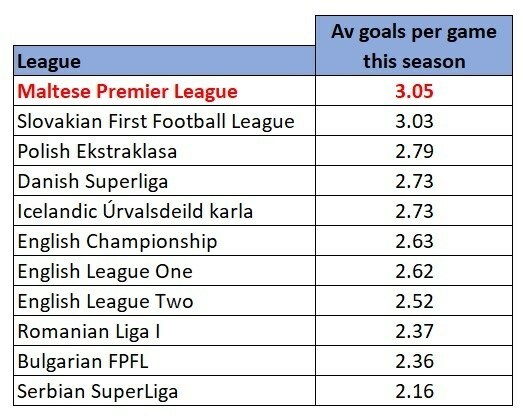 Teams in the Slovakian First Football League haven’t been shy about shooting either – an average of 3.03 goals per game have been scored there in 2018/19. The Serbian SuperLiga sits at the opposite end of the spectrum, with an average of just 2.16 goals per game scored in that competition this season. With an average of 3.07 goals per game scored in their matches so far this season, the Bolivian Primera División is your first stop for penalty area drama in South America. There is quite a gap to the Paraguayan División Profesional in 2nd spot, with a much smaller margin between them and their Peruvian and Uruguayan equivalents in joint 3rd. The continent’s two most high-profile leagues, Brazil’s Serie A and Argentina’s Primera Division rank 3rd last and dead last in the average goal per game stakes. I guess that’s what happens to leagues that are perennially raided and stripped of their best attacking players. 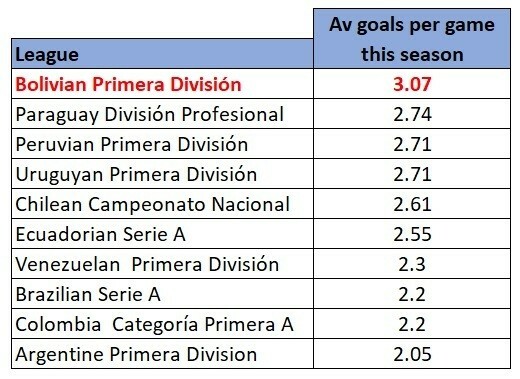 Argentina’s statistics are particularly galling, in fact the Argentine Primera Division’s figure of 2.05 goals per game on average is the lowest number we’ve encountered so far. There are a couple of competitions in the next section however that are telling everyone to hold their beer. In a competition where central defenders are more Keystone than cornerstone, it’s no surprise to see such a high figure for average goals per game in the MLS. An average of 3.22 goals per game have been scored across the Eastern and Western Conferences this season. It feels as though most of those goals have been scored by either Wayne Rooney or Zlatan Ibrahimovic, but I’m sure other players have chipped in with the odd one too. The South African Premier League Division and Nigerian Professional Football League average goal per game figures are incredibly low (you can relax now Argentina). In addition, over 2.5 goals were scored in just 28% of league fixtures in the South African PL this season, while the Nigerian PFL’s corresponding figure stands at 29%. There’s plenty of potential in those leagues for advocates of the under 2.5 goal markets then. The Swiss and Dutch leagues’ extremely high goal per game averages put them at numbers one and two in our best performing leagues table, with the MLS coming in 3rd. Approximately two out of every three matches in all three leagues finish with over 2.5 goals scored in them, making those divisions excellent hunting grounds in that market. The biggest hitting number and standout figure from our research was the one that showed that both teams have scored in 72% of the fixtures in the Swiss Super League this season. That’s an insanely high number and one you can take to the bookies. Let’s just hope the league can maintain it. Categories: Betting Strategy, Blog, and Football. 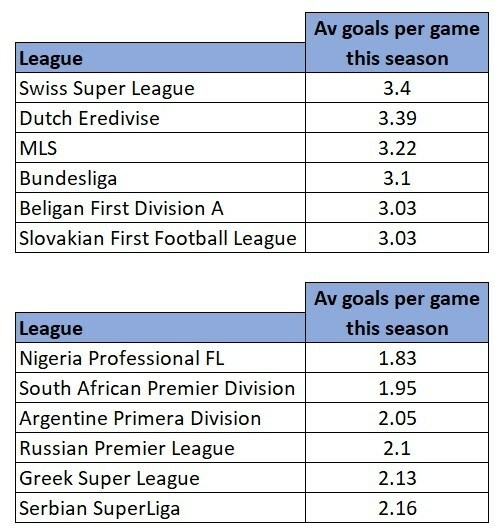 Tags: average goals, Bundesliga, Eredivisie, goals per game, MLS, and Swiss Super League. League: England Premier League, French Ligue 1, German Bundesliga, and MLS. Sports: Football.